I can't log in with Facebook anymore. Why? If you still not able to Login, then try clearing you browser's cache and cookies and try again. I can't log in with Google anymore. Why? If you can't sign in to TapUAE using your Google Account. Please follow the instructions for help getting back in to your account. There isn't a typo in your username or password. You've entered your full email address. For example, "username@gmail.com" instead of "username@gmail." Your keyboard is in the right language. Refresh your browser and try signing in again. Check whether your Account is suspended or disabled. I can't log in with tapuae registered email anymore. Why? If you can't sign in to TapUAE using your registered emaild id with TapUAE, then please try to reset your password and login again. If you still have the same issue, then please contact our support center. Whether you login via TapUAE, Facebook or Google your data will be remain sync. You just need to have same email id across all the accounts. If you don't need to remember one more password, you can proceed with facebook and google login. The experience of TapUAE will remain the same whichever login method you choose. From the sign in page, click "Forgot password?" and enter your registered email id or phone number. We will send a password reset link and instructions to the email address associated with your TapUAE's profile. Note: The password reset link will be active until a new password is updated. Try re-entering your Tapper's email address. Double-check that the email address associated with your TapUAE's profile is correct. You may want to try another email address that could have been used when you set up your profile. Navigate to dashboard via clicking you name on the menu. 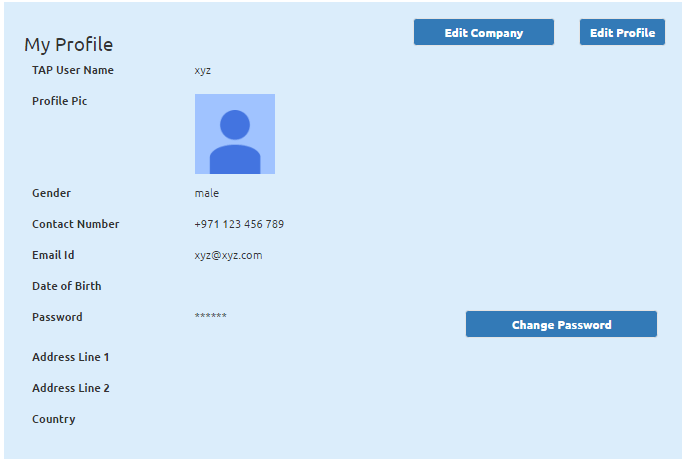 You can edit your name, password, profile pic and address section from this page. Once you are successfully registered with TapUAE, we will send you a verification link to your registered email Id. If you are registered with Google or Facebook, then you do not need this step. 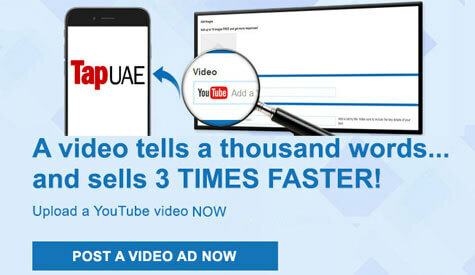 Please click the link provided in the email from TapUAE, you will be redirected to TapUAE website for confirmation. Once verification process is completed, you can login to your account.